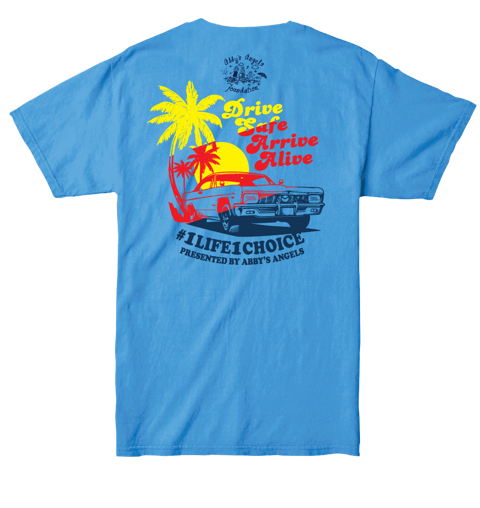 Buy Your Official T-Shirt Here! 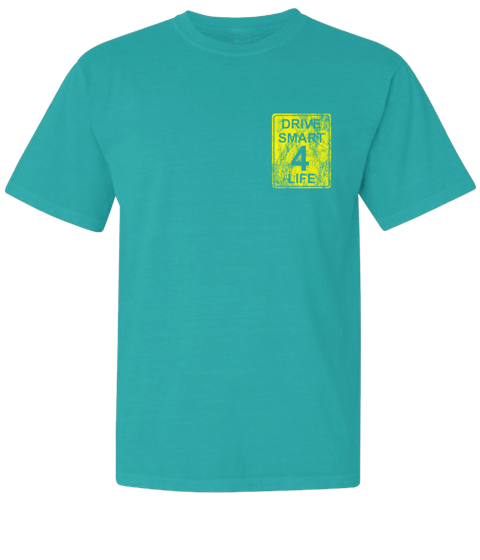 National Teen Driver Safety Week is a week of important awareness each year in our country, however, the majority of our society doesn’t know this week of life-saving awareness exists. Abby’s Angels Foundation’s hope is to encourage change and we need your help! Car wrecks are the leading cause of death in the teen population in our country every year. The newest findings released by the American Academy of Pediatrics show that teen fatalities due to motor vehicle crashes are on the rise in the USA. This is NOT OK. 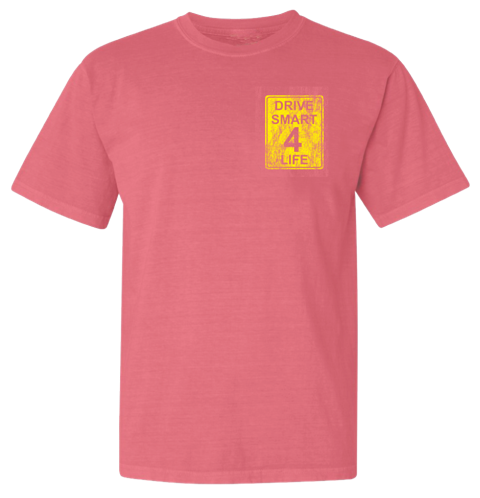 Together, we believe lives can be saved as we work to connect to teen drivers on this issue that effects their age group the most. In July, Abby would have celebrated her 15th birthday. She should be learning and preparing to drive with her friends and classmates if an 18-year-old distracted driver had not taken her life December of 2012. 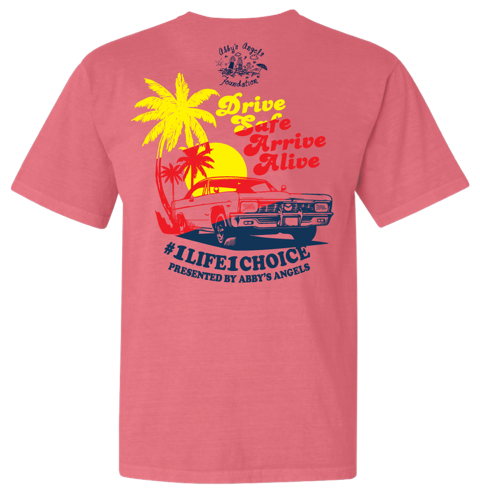 Our hope is that through education and sharing Abby’s Angels #1Life1Choice safe driving message with teen drivers and their parents, the needless loss of life and injuries will end. 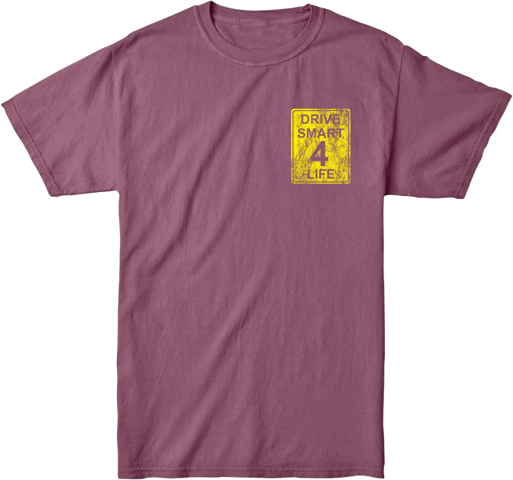 Help us share awareness to save lives by WEARING our 2018 National Teen Driver Safety Week T-Shirts! 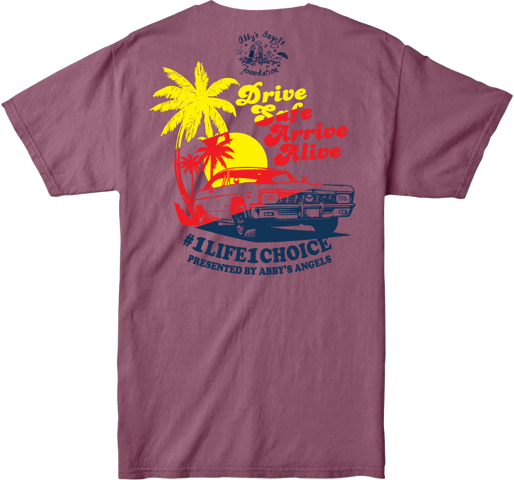 WEAR & SHARE TO SAVE LIVES! 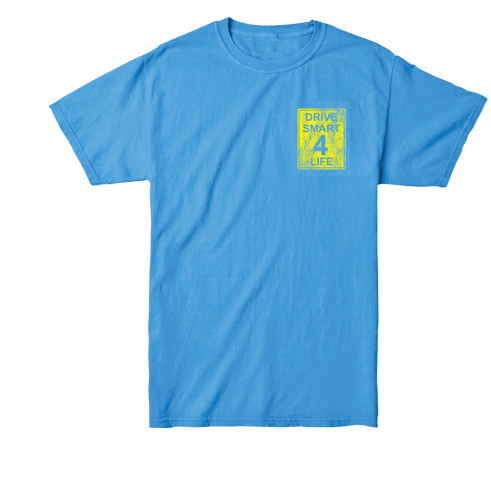 To order your t-shirt, fill out the form below, or to order by mail, click here to download an order form and mail payment and order form to: Abby’s Angels Foundation, PMB 154, 1741 Newnan Crossing Blvd. East Suite O, Newnan, GA 30265. 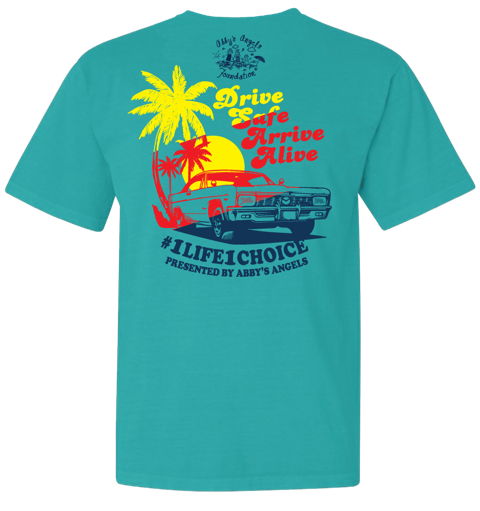 Fill out the form below to order your T-Shirt today!